I’m so tired of Skype. How can any company be so bad when here I am trying to give them money? I made a payment using PayPal to Skype to reinstate my expired SkypeIn phone number. PayPal made the payment then instantly reversed it – refunding me. PayPal told me that this was because there was no balance on my PayPal account… they needed to transfer money from my bank and it would then be paid to Skype. I’ve never seen this problem with PayPal before. I called PayPal yesterday and they assured me that I don’t need to do anything – Skype will take the payment soon. I have been waiting 5 days for this payment to take place now. It’s absolutely ridiculous. I contacted Skype today to ask what is going on with the payment from PayPal and what did they tell me to do? Use Internet Explorer and clear my browser cache? What is this all about? Is Microsoft so wealthy that they don’t want customers to pay for any services? I’ve absolutely had it with Skype now – that’s really it. I’m so bored chasing them for support when I am not even complaining – I am trying to buy a service. If Skype does not respond to this blog in the next day day or so offering to just fix this situation then I’m sorting myself a new VoIP provider. This is just a ridiculous situation. Take a look at my transcript with Skype support today. After asking for help they just cut me off. 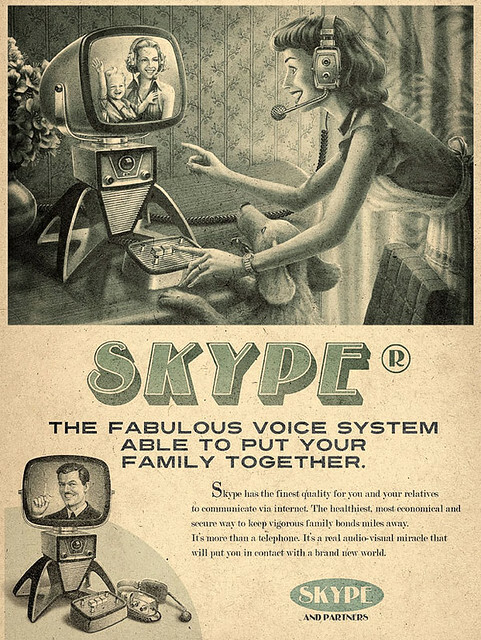 HELLO SKYPE – I’M TRYING TO PAY YOU! IS THIS HOW YOU TREAT CUSTOMERS? Please wait for an agent to respond. You are currently ‘1’ in the queue. All agents are currently assisting others. Thank you for your patience. An agent will be with you shortly. You are currently ‘1’ in the queue. You are now chatting with ‘Herbert P’. Hello! My name is Herbert. Welcome to Skype Customer Service. If for some reason we get disconnected, please click on this chat support link:https://support.skype.com/support_selection and you’ll be reconnected in few seconds with our Skype Customer service. With that being said, how can I help you today? I’ll be more than willing to assist you with your concern and have your account checked for you. To start with, can I have your Skype name and your first name for me to address you correctly. You have all my details – I had to login to get support – why do support lines ask for details all over again? Please give me your Skype name. Why do I need to login to get support? if the first thing you ask for is my skype name? Let me pull up your account. Skype is committed to respecting your privacy, security, and the confidentiality of your personal data. Thus, this verification process is one of the measures we have to safeguard your interest. For security purposes, we will be sending a code to the email address linked to your account. Once you receive it, please send it (back) to me here in chat. Let me verify your account. J I am already pulling up your account details. I will just need a minute to check them and then we can proceed. Thank you for patiently waiting. Have you tried clearing your browsers cache and cookies? Alright please use Internet Explorere. Now I ask you guys about it and you tell me to clear my cache? Please do try it, there’s nothing wrong to try and if it will work, that’s that time you will believe me. What’s wrong with your company? People get in touch offering money and you turn them away and make it as hard as possible? Sir, you need help right? Look, this has nothing to do with my cache or browser and everything to do with the relationship between PayPal and Skype – now can someone please check on the payment status and advise why you are not taking the money from PayPal? Try it first, and if it will not work, I’ll let you talk with my supervisor. OK, so I cleared the cache, all browsing history, downloads, cached images, files, cookies… so what should happen now? Trying to send a line, but there is no current chat session.